RNR #253: No contract for Scooter Gennett? In this week's episode of Redleg Nation Radio Chad Dotson and Bill Lack as they discuss Scooter Gennett's frustration with the Reds and an extension. Support Redleg Nation Radio community at Patreon! Help support the Redleg Nation Radio Podcast. RNR #252: Give Nick Senzel a hug! This week on Redleg Nation Radio, Jason Linden and Chad Dotson discuss Cincinnati Reds outfielder Nick Senzel, and how to potentially handle him in 2019. The World's Most Dangerous podcast reflects upon the life of Frank Robinson, one of the greatest (and most underrated) players in Cincinnati Reds history. 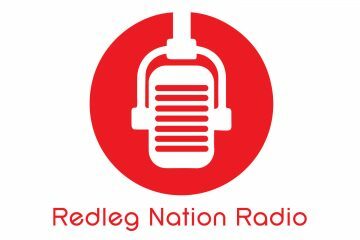 Join Chad Dotson and Jason Linden for this weeks episode of Redleg Nation Radio as they discuss a possible acquisition of JT Realmuto and the playoffs. RNR #249: Can the Reds win the division? The world's most dangerous podcast -- featuring Chad Dotson and Doug Gray -- discusses whether the Cincinnati Reds can actually make the playoffs n 2019. RNR #248: Emergency podcast — It’s always Sonny in Cincinnati! An emergency edition of Redleg Nation Radio discusses the recent trade between the Cincinnati Reds and New York Yankees that brought Sonny Gray to Cincy. On this weeks episode of Redleg Nation Radio join Chad Dotson and Jason Linden as they discuss the retirement announcement of Marty Brennaman. RNR #246: Should the Reds sign Nick Senzel long-term? Are we nervous about getting the pitching? Should the Cincinnati Reds sign Nick Senzel to a long term contract right now? We discuss that and more! RNR #245: How optimistic should Reds fans be in 2019? In this weeks episode of Redleg Nation Radio, Chad and Jason discuss just how optimistic Cincinnati Reds fans should be in 2019. RNR #244: So what’s next, after the trade? On this episode of Redleg Nation Radio Chad Dotson and Doug Gray talk the Reds/Dodgers trade, and look at what could be next for Cincinnati. RNR #243: Emergency Blockbuster Trade Podcast!